As an independent commercial insurance broker we are not limited to one direct insurer or underwriter. We have a panel of UK insurance partners that allow our specialists to search the business or home insurance market, to identify insurance to suit businesses or individual requirements. Through a combination of some of the most well-known insurers and some more specialist niche insurers, we can compare business and home insurance quotes, aiming to help our customers by tailoring their policy to exactly what they need. We constantly review our insurance panel to ensure we are offering the widest choice of terms possible, and also check our rates across the market to stay competitive. Our specialist consultants are able to search multiple insurers at the same time and can usually arrange cover over the phone immediately and provide documentation the same day. customers to have the exact cover they need. Why choose The Insurance Octopus? At The Insurance Octopus, we offer a truly personalised service to make certain you are getting the best levels of service and the commercial business insurance or home insurance you need to be protected. From initial contact through to payment for your policy, you can always talk to the same dedicated consultant. We can offer a range of finance options, including direct debit to ease the payments, and cover can be arranged instantly over the phone in most cases. If we can’t arrange cover immediately we will always keep you fully updated as we progress your quotation. When it comes to your business or home insurance renewal date, don’t worry, we will do all the hard work for you, searching the market again to find the best terms and simply present you with the options. to see how we can help arrange your business or home insurance. 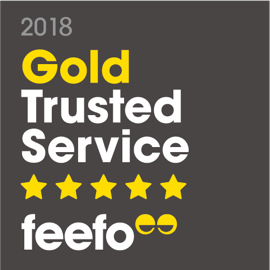 Awarded the Feefo Gold trusted service award again in 2018, meaning we've now won the coveted customer service accolade 5 years in a row. Because we feel arranging your business insurance should be rewarding, we aim to give our customers the best possible choice for their insurance plus a range of money saving perks to go along with it. 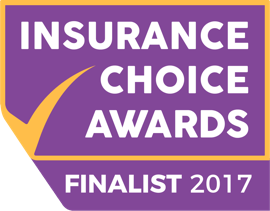 Voted by our customers as a finalist in the 2017 Insurance choice awards - Best Insurance Broker category.